The Medina Model Train and Toy Show, established in 1992, has enthralled children and grownups, short and tall, young and old for decades. 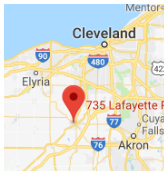 Just 45 minutes from Akron or Cleveland , thousands of enthusiasts have traveled to Medina, Ohio for nostalgic, profitable, and entertainment purposes. Trains and planes and things that GO are on display 4 times a year at the Medina County Community Center, 735 Lafayette Road, Medina, Ohio 44256. In the spring you can visit us in February & April. In the fall you can begin your holidays with us in October and at our December, Christmas Extravaganza. If you’re looking for Trains we have a variety of train sets and components from HO to G Scale. We have Lionel, American Flyer and other makes and models for purchase or for entertainment. New and used trains, tracks, scenery, etc. are available for the energetic and enterprising hobbyists. Model Railroad Clubs, from all parts of Ohio, have constructed scenic operating layouts for the enjoyment of all. Kids of all ages will enjoy watching the different displays available for conductor want-to-bes. Don’t be fooled The Medina Model Railroad and Toy Show has something for you Toy Collectors , too. Old tin toys, dolls, Matchbox cars, Hot Wheels, models of nostalgic cars or other modes of transportation are available at reasonable prices. Our appeal is not just for observers, buyers or collectors of model railroads or toys. We have a market for sellers also. There is space available (at a reasonable cost) to display memorable items for others to purchase. If you have a collectible and need guidance there are knowledgeable people at the show for numerous genre of memorabilia. 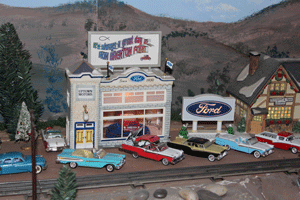 With over 250 tables of merchandise exhibited, we believe you will find what you desire at The Medina Model Railroad and Toy Show. Come see about us. Questions pertaining to hours of operation, cost of entry or for reserving tables at the show visit our website or give us a call!